There can be only one! Which plug and play console should you be picking up? 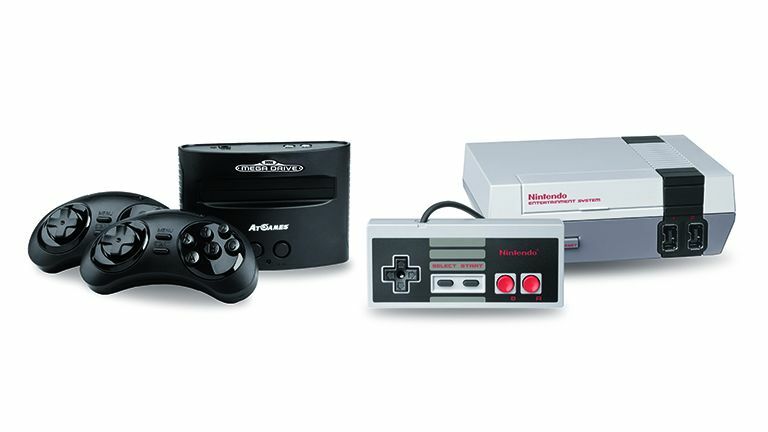 Small-scale plug and play retro gaming systems are all the rage at the moment, allowing people to play many classic titles without having to shell out a small fortune buying the original hardware and games. However, with more and more systems dropping, where you should place your money is becoming a trickier proposition to discern. Here we pit two front-runners in this new micro console war against each other to fight for your love. Design - The Sega Mega Drive Classic Console design is purely functional and in no way reminiscent of the original system’s look. A missed opportunity for nostalgic appeal in our opinion, but the unit is sturdy and finished to a very good level. Features - It’s fair to say that not all of the 80 built-in games are classics – many are not worth your time – but the addition of a cartridge port helps nullify their inclusion. The ability to play original games is the real saving grace of this system. Performance - If you have a CRT TV knocking around, the games will look exactly as you remember them. However, they won’t sound the same. In-game music plays back slower compared to the originals, even when using cartridges. Gameplay remains the same. Usability - With only two buttons on the system, getting to grips with it is child’s play. Just power the system up and tap the menu to reset. We suggest plugging an old three-button control pad into one of the front ports for a more authentic play sesh. T3 Rates - There are many timeless 16-bit gems to play; Sonic The Hedgehog, ESWAT, and Golden Axe still hold their charm. T3 Slates - The lack of HDMI output is an injustice to the games – the supplied composite output simply can’t compete. Design - A solid effort to faithfully reproduce an unlikely design icon, the NES Mini was never going to win a beauty pageant but Nintendo has fully delivered on a build quality that totally surpasses all other plug and play consoles currently on the market. Features - With 30 of the most popular NES titles installed, there are hours of retro joy to be had. The custom menu system highlights the Nintendo quality, with a charming interface (accompanied by a quirky theme tune) for saving games. Performance - In some titles we encountered graphical glitches at the edge of the play screen. Generally speaking, though, the emulation is superb and the sound quality stunning. Control is precise and a cabled controller minimises input lag. Usability - The inclusion of an original styled controller presents a bona fide experience. The buttons are responsive and you’ll feel like a kid again. Our only gripe is that the cord is too short, so you’ll need an extra long HDMI cable for the console. T3 Rates - The NES Mini is pure fan service, one that rewards both collectors and casual gamers. Get it if you can find it! T3 Slates - By omitting a cartridge port or NFC chip, Nintendo have sold this classic a little short of its full potential. The NES Mini Classic takes top spot with a delicious dollop of fan service and slick technical execution. Despite its lack of cartridge slot and short controller cord, this portable plug-and-play console is a pleasure to play on.